Hope this photo chases away the winter greys! It’s rare to catch me without coffee, a form of camera, or my beloved wire fox terriers. I love the history, the art, and it’s a massive part of my life, as I either paint, write, or get interrupted by my dogs, reminding me of the real world. I hope you enjoy your time here. It’s such a privilege to have readers. 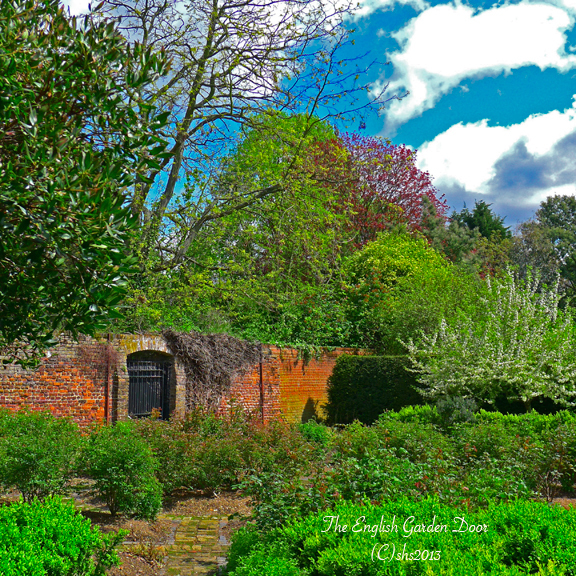 Gallery | This entry was posted in Doors, England and tagged A Secret Garden, Door, English garden, Frances Hodges, Frances Hodgson Burnett, Frances Hodson Burnett, Garden, Gardens, Home and Garden, Kent, Kent England. English Countryside, secret garden, Solid wood, The Secret Garden. Bookmark the permalink.